← Stop Arguing with Your Teenager to Pick Up the Dog Poop; Build a Puppy Park at Home. Paint strippers can be caustic and expensive especially when you are restoring eighteen double sash windows and all of their hardware. 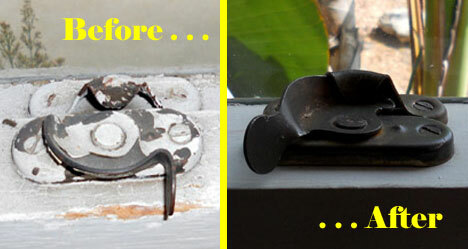 I tried this solution to salvage my vintage window hardware. It’s simple, easy and works like a charm. 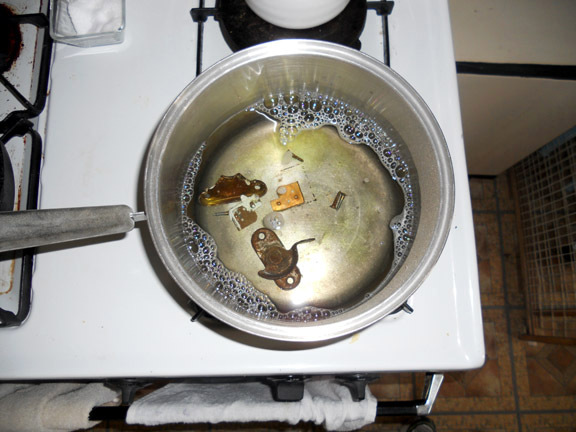 Supplies: Old cooking pot, DAWN original dish washing liquid, wire brush and a few hours. Simply place the hardware in the pot and fill with water. Add a few table spoons of DAWN. Set to low on the stove. Bring to a shimmer NOT a boil. A boil will cause it to bubble over. Now let it on low for four to six hours testing and adding water occasionally. I used a pair of pliers to hold the hot (be careful!) hardware while I scrubbed with wire brush. Viola! 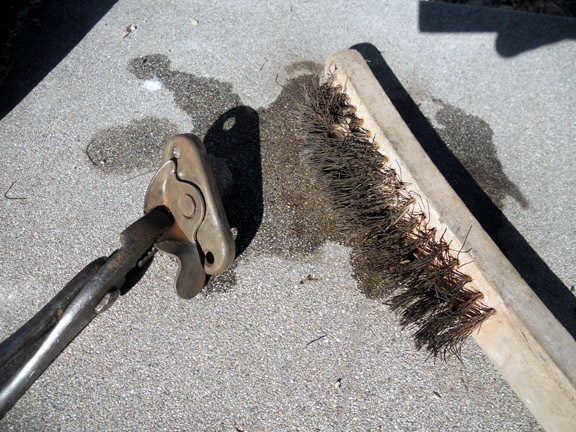 Paint be gone and any old gunk too. At this point, you can polish if you want them to look “new.” I prefer the existing brass patina and simply rubbed them dry. This entry was posted in Home Improvement and tagged careful hardware, paint strippers, Remove Paint, sash windows, window hardware, Window Restoration. Bookmark the permalink.